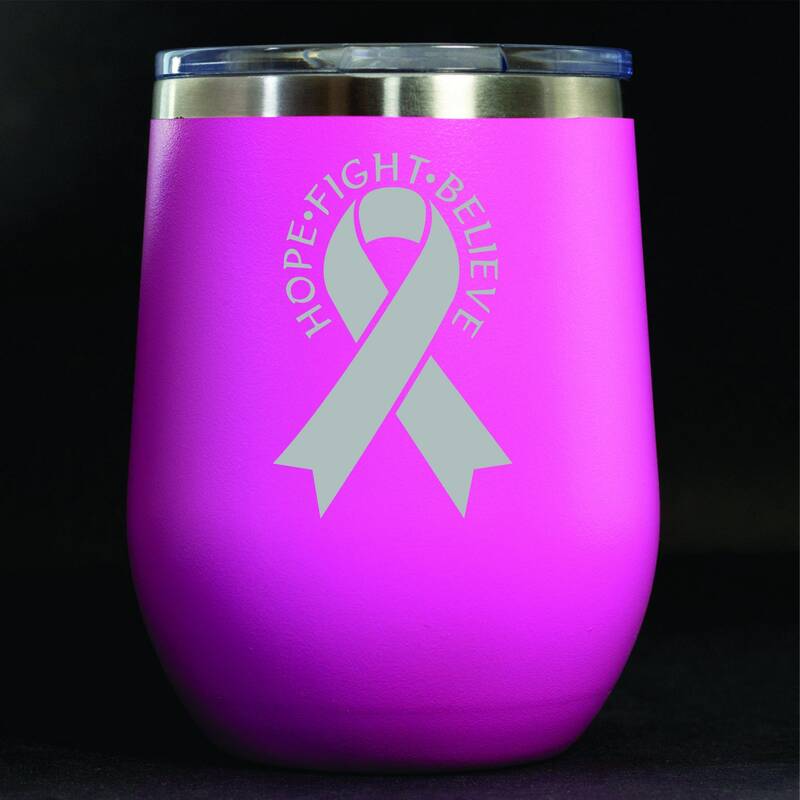 Enjoy your favorite beverage with your own stainless steel Polar Camel insulated travel mug featuring a cancer ribbon. These travel mugs are designed to keep your hot and cold beverages at the same temperature for hours. Let's join together to celebrate survivors and to fight the fight for breast cancer. We make these mugs because it hits close to home for us. Hope, Fight, Believe. This mug is shipped as displayed in the photo. Choose the Survivor custom option to celebrate survival. 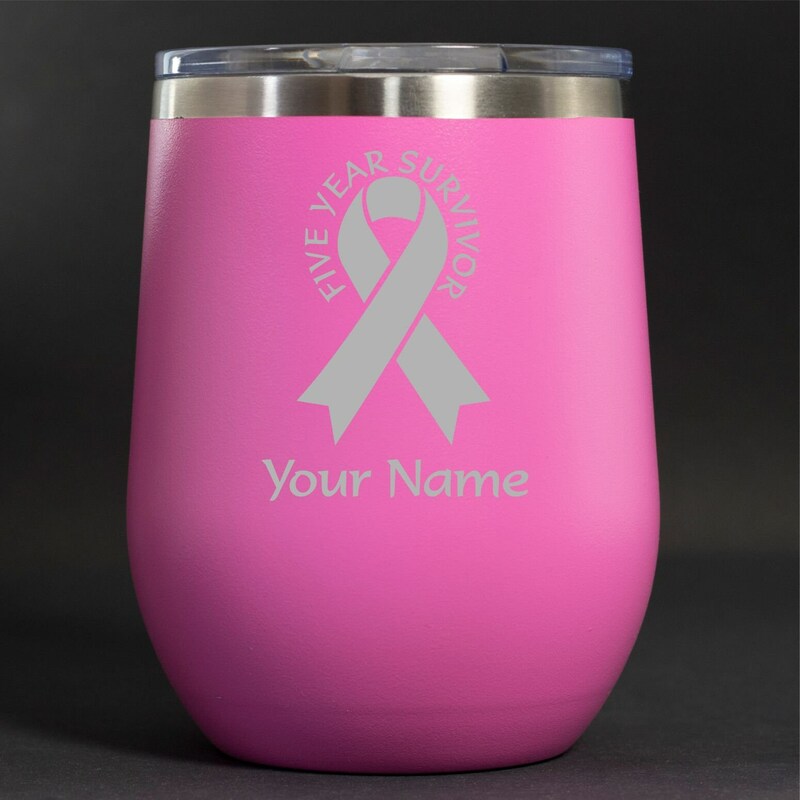 To order the Survivor option, please include the number of years and a name to put on the mug. You will receive a mock up of what your mug will look like. Please allow up to 7 business days for mugs to ship. If you would like a different color, please choose the custom option. We have other colors available like Purple, Blue, Light Teal and more!